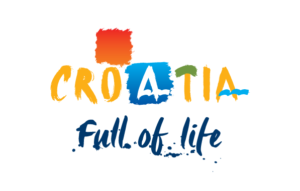 Vacation villas, apartments and hotels in Croatia - Charming Croatia / Why book with us? We know how much goes into researching and organising a trip. Let us help you! Tell us a bit about yourself and what you’re looking for, we’ll be happy to present you with several options that fit your schedule and budget. While you’re vacationing, we’re working for you. Personal service is just a phone call away, 24/7. Whether you have a single question or a special request, we’re here to help before, during, and after your stay. From a bottle of champagne, to a cooking class, or local offer, you’ll get a little extra thank you with your booking. Some of us call Croatia home. We use deep local knowledge, know our way around and will share any information you may need before and during your trip. Need a driver? Looking for a kids-friendly beach? Best spot for a sunset view? In the mood for seafood? Or just want to know where the locals go? There’s plenty to find out during vacation, but you-name-it, we know it. And we’ll be happy to share. To build our collection, we searched for and visited properties that focus on privacy, quality and luxury. Our villas offer complete privacy and generous living space. Our boutique hotels offer world-class service while keeping true to intimacy and privacy. Each property has a unique story, from design to landscapes to atmosphere. We are sure you will find a spot that is perfect for you.